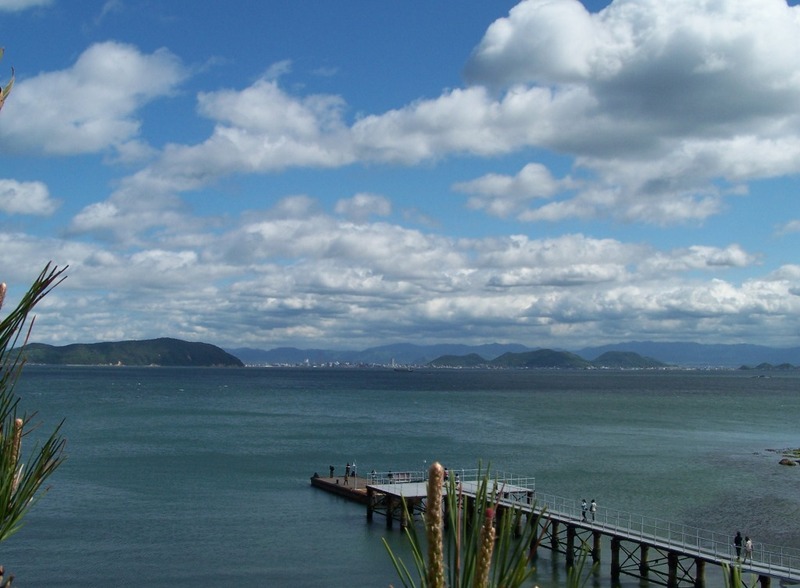 Nowadays, Naoshima is more and more famous, with reason, for its great museums and art. 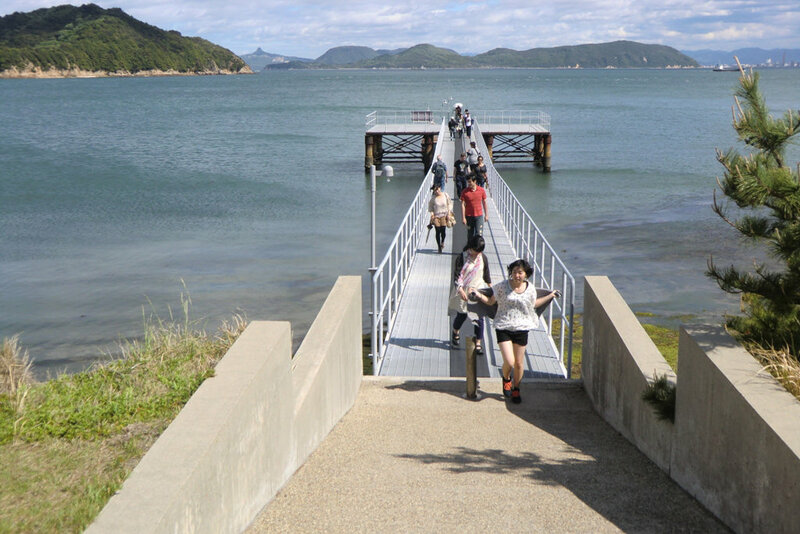 However, when you visit the island, you’ll see that not only the art is amazing, but also the surroundings – namely the Seto Inland Sea – and the best spot to admire the outdoors is Naoshima beach. Yayoi Kusama’s Yellow Pumpkin (with a long line of people waiting to get their picture taken in front of it – this was during Golden Week) and Yurts in the distance (where it all started). 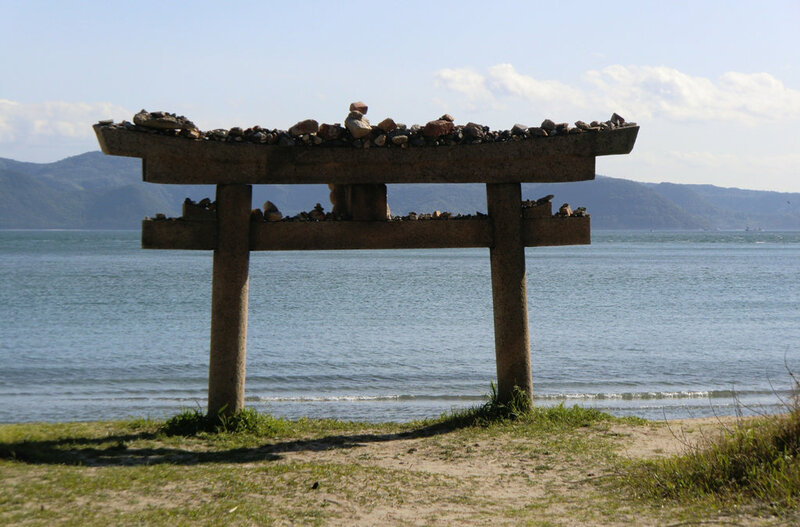 If you’ve been to Naoshima, you’ve most likely seen this torii. You may also know that in Japan, if you throw a stone on a torii and the stone stays on it, it’s sign of good luck and/or your wish will come true. This torii must have made a lot of people happy, right? Or is it cheating when the torii is less than 2 m high and you can simply put the stone on it without having to throw it? Can you spot Megijima on the picture? 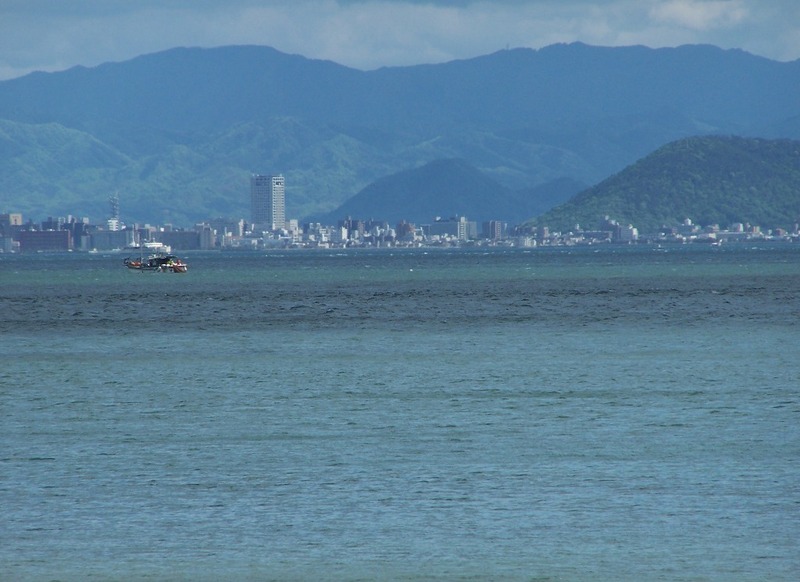 How about Yashima? Mount Goken? My dad? 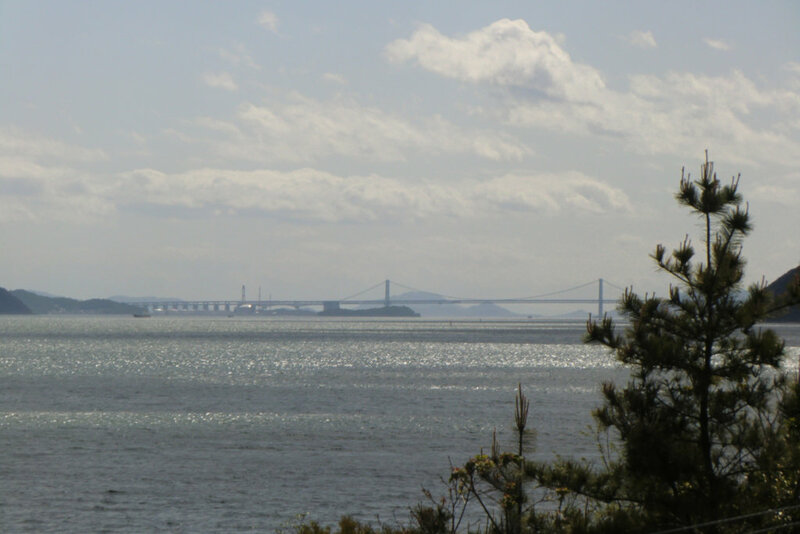 Naoshima beach also offers a very good view of the Great Seto Bridge. 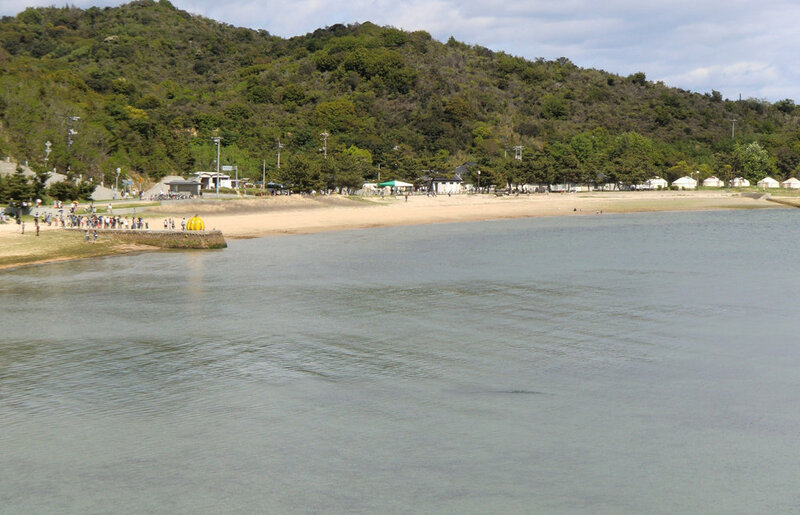 So, remember, when you visit Naoshima, do not overlook the wonderful landscapes on and around the island (and hopefully, it will make you want to visit more of the area, it’s worth it).